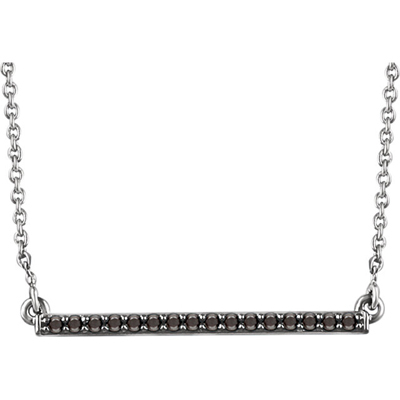 If you like simplicity there is nothing better then our new delicate bar necklace. 14k white Gold in combination with 0.17 carats of Black Diamonds it is the most desirable color combo right now! Bar measures 1.7mm x 26mm and comes with an 18 inch cable chain. We guarantee our 14K White Gold Black Diamond Bar Necklace to be high quality, authentic jewelry, as described above.